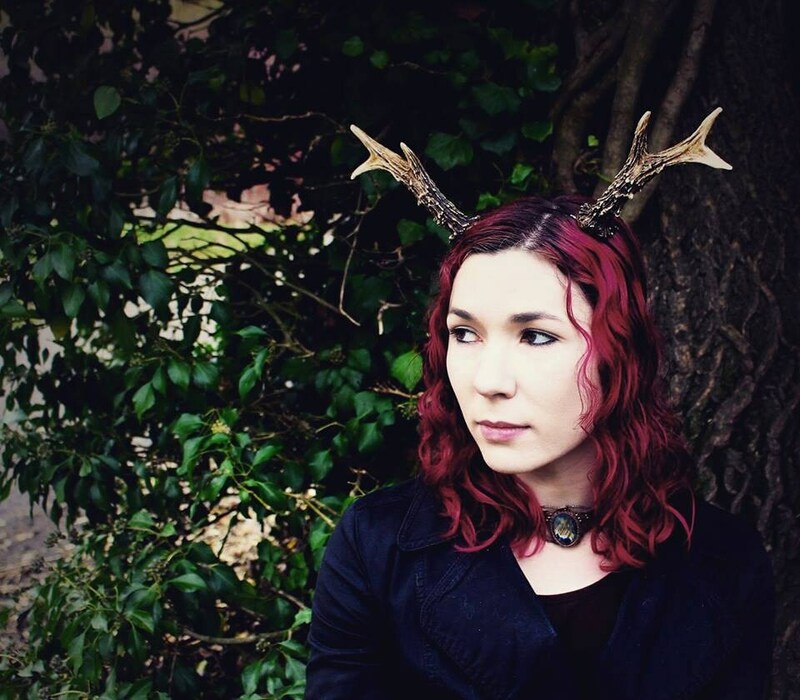 These gorgeous antlers are cast in light weight resin at the Hysteria Machine laboratory and painted with a secret agent that makes them look incredibly life like. Attached to a discrete black metal head band they can be worn to look about as close to natural without trying to glue them to your head. Each horn is approximately 15cm in length and 8cm at their widest point. We try to keep these in stock at all times, but please allow around 1-2 weeks to complete an order. All items are posted via Royal Mail. Items within the UK as sent via First Class, for International they are sent via the standard 5-10 working day service however items are not considered 'lost' until 30 days have past. Please be aware that some items might get held up in customs which may lead to customs charges and delays. We claim no responsibility for parcels delayed by customs or the postal service as these are unfortunately outside of our control. Please bear our processing times in mind when ordering as all out items are made to order and require time to create. We strive our best to keep to our lead times but during very busy periods(Halloween/Xmas) we may require a little additional time to deal with the workload. If you wish for a faster tracked delivery option please be sure to purchase a Shipping Upgrade listing along with your order. Thank you! While we work tirelessly here at Hysteria Machine to make high quality hand made products we totally accept that sometimes things can go wrong. If you are not 100% satisfied with your purchase, you can return the product and get a full refund (minus shipping) or exchange the product for another one or equal value, be it similar or not. You can return a product for up to 30 days from the date you receive it.